Finally! 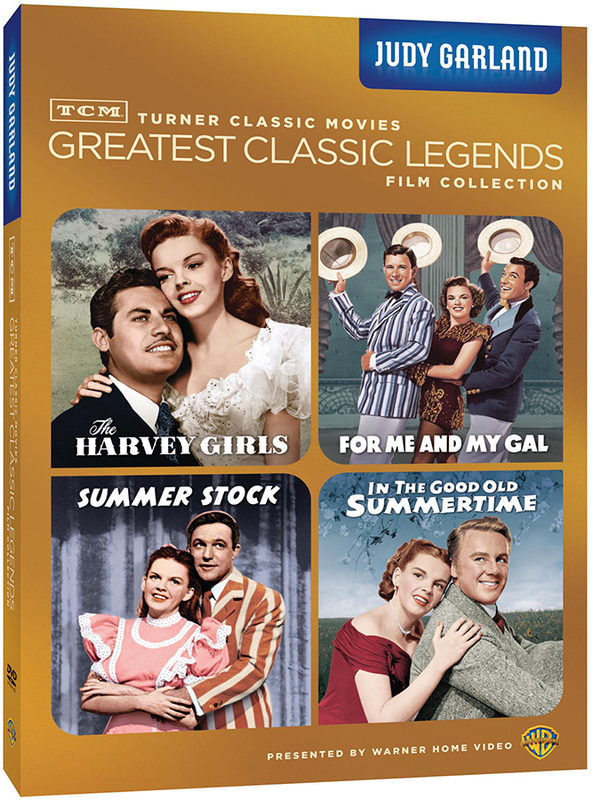 The TCM Greatest Classic Films “Legends” series puts the spotlight on Judy! FOR ME AND MY GAL (1942) – Gene Kelly debuts and Garland dazzles in this Busby Berkeley-directed tale of a song-and dance pair who take on tank towns, tough times and WWI while struggling for show-biz success. Boasting a hit parade of era tunes, this film is brimming with old-fashioned charm. THE HARVEY GIRLS (1946) – This musical slice of Americana celebrates the restaurants that dished out civilization to Old West rail passengers. Highlights include Garland holding saloon patrons at gunpoint, Ray Bolger and Virginia O’Brien at their comic best, and Angela Lansbury‘s stylish wickedness. IN THE GOOD OLD SUMMERTIME (1949) – In between The Shop Around the Corner and You’ve Got Mail came In the Good Old Summertime, a tale of two squabbling music-shop clerks. Garland and Van Johnson‘s version has mail plus classic tunes evoking an era of straw boaters and silvery moons. SUMMER STOCK (1950) – In her final M-G-M musical, Garland plays a farm owner who’s riled when her actress sister (Gloria De Haven) wants to stage a musical in the family barn. A turn of events ensures that Garland and Gene Kelly do their share of singing and dancing to a bumper crop of tunes. Judy Garland – the youngest recipient (at 39 years of age) of the Cecil B. DeMille Award for lifetime achievement in the motion picture industry. Note that the films in this series are “bare bones” single discs of the films only, with minimal to no extras. No word if any of the films have been given new restorations (probably not). Awesome!! This is coming out on my birthday!